...I received my very first copy of the book! It was a very odd, surreal, and incredible feeling. I think writing a book is a lot like childbirth. You forget the hours of labor, the sleepless nights, the throwing up (ok....maybe that was just childbirth); you hold your new baby in your arms, and you think, "hey...that was pretty easy." Decorating Cookies: 60+ Designs for Holidays, Celebrations & Everyday will be officially released October 2nd, and I really, really hope you love it. 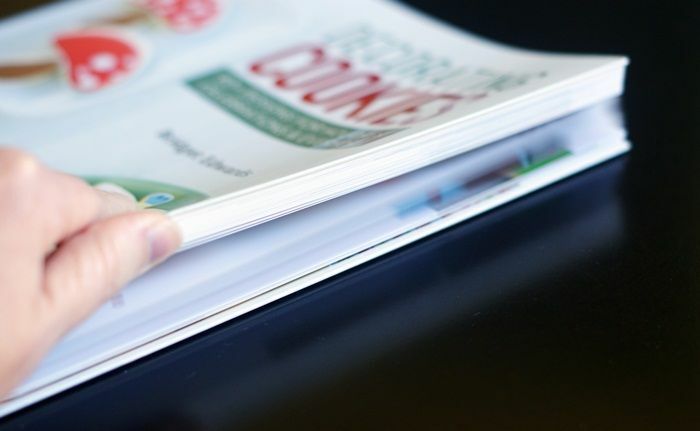 I want the book to be a surprise to you when you hold it in your own hands, so I won't show you too much here. ...and, oh, 60+ cookie tutorials. 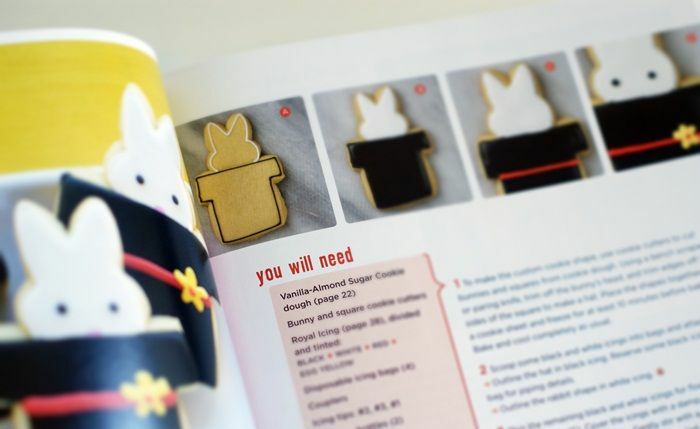 You can see the Magic Rabbit cookie on the book's cover, so this is a peek at the tutorial. 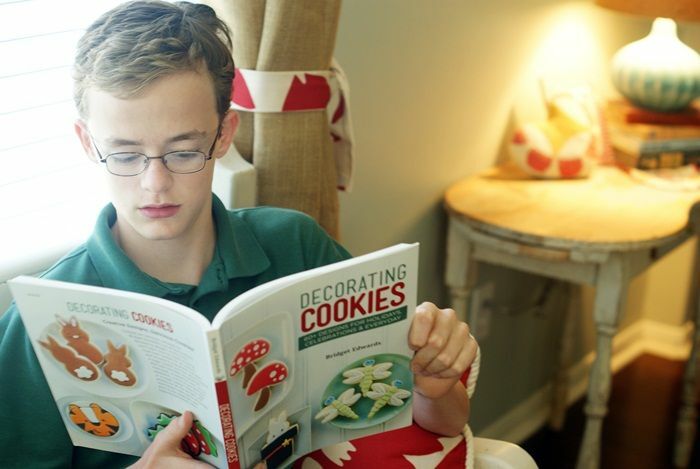 EVERY cookie in the book has a step-by-step photo tutorial. OH!!! And, I cannot believe I am saying this, but MARK YOUR CALENDARS! Thank you so much for sharing this book writing journey with me!!! Wanna come over and make some cookies? Congratulations!!! I have been a huge fan of your gorgeous creations for years and cannot wait to get the book! Bridget, oh my goodness. So lovely, words cannot express. Your talent is astonishing. Very excited to see your beautiful new book out. You ought to one proud mama for producing such a beauty ;)! Congratulations! You have de-mystified sugar cookies for me. Congratulations , i hope it would be possible to get one copy here( here is Greece). Congratulations!! This is awesome! I wonder if it will be translate in other languages like spanish....I hope so! I think this is sooo awesome! I love your creations and I will absolutely be buying at least one of your books!! My sister collects cookbooks, so I'm letting know her know about it too. I can't imagine how excited you are. CONGRATULATIONS! I am so happy and excited for you! I so wish I lived closer I would be there at Hubbell & Hudson in a heartbeat! That is so exciting!!! Can't wait to hold it in my hands! I can SO understand your seeing this as "your baby"! At least you won't have to send it to college :0 Congratulations and best wishes for success! Congratulations Bridget! The book looks beautiful. I live in Houston so I will definitely be at the book signing. I've followed your blog for a long time. I love your style and I think you are such a beautiful person. I cannot wait to meet you. Can we bring a book we have already purchased or will they be available for purchase there? Congratulations again! You deserve all the success in the world! Yes, they will have books available for purchase. You may bring your previously purchased book, but of course, it would be wonderful if we could support Hubell & Hudson by buying copies there. :) Whatever you decide will work. Thanks so much! Looking forward to meeting you! So exciting Bridget! Congrats! The front and back covers sure are beautiful! You tease! YAHOO! So excited for you and that gorgeous book! Amazing!!!! What a special day for you. So, so proud. Congrats! I can't wait to check it out and get to baking and decorating! What a gorgeous, gorgeous book! Congratulations! I AM SO STINKING EXCITED!!!!! What an incredible feeling this must be, I am so happy for you! I wish you all the best, with the flurry of excitement that is soon to follow. During all the rush, compliments, and such, stop yourslef, in your mind, every once in awhile, and have a "pinch me, it's REAL!" moment,....just focus on enjoying small moments. It's going to be so much fun! Can imagine how exciting it was to open the package and see all your hard work over the past several months tucked beautifully between the covers of YOUR FIRST BOOK! I'm so happy that you already have a book signing arranged and am a little envious of everyone living in the area who will have a chance to meet with you in person. Best wishes for a fabulous release, book signing and future sales Bridge. You deserve all the good things to come your way from Bake at 350 and the Book. That is SO exciting! You book looks wonderful, can't wait to get a copy !!! I sure wish I was in the Houston area, I'd love to meet you :) oh and UES I'd love to make cookies too. XXOO!!!! 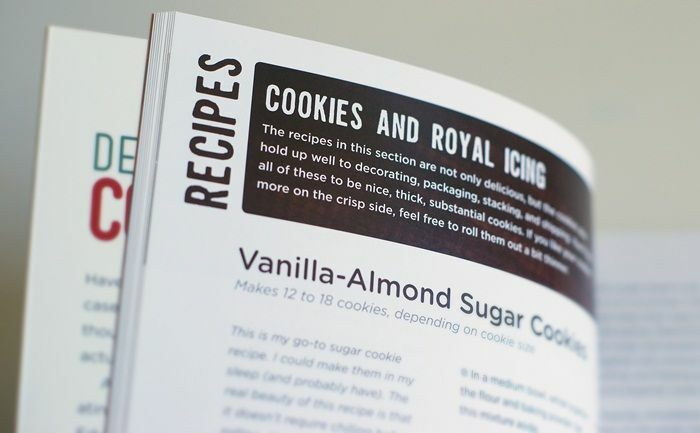 I can only imagine how exciting it is for you to hold your own cookie book in your hands!!! Wish I could be at your book signing, but I will be happy to get busy and decorate along with you (sort of) when your book arrives! :) CONGRATS, Bridget! XO! Bridget I am so excited for you....and can't wait to get my copy. It's already ordered!!! Congrats on all your hard work!!! Wonderful! I can already think of a few people who will be getting the book for xmas! :) CONGRATS! Yes, I can totally see how it's just like childbirth. Although I've only been through childbirth, no book. Your book looks absolutely beautiful and like a blast to browse through. Congratulations! Congrats, Bridget! I can't wait to flip through this beautiful cookbook! Eeeeeeek! I've had it in my cart for ages now! I guess it's time to commit and pre-order! Congratulations on your book! That is so exciting! I can't wait to see it for myself and try some of the recipes and tutorials! Congrats Bridget! I'm so excited for you and can't wait to see the book live and in person! Congrats Bridget!! I can't wait to get my hands on a copy! You just may (crossing fingers) get me to learn to make frosted cookies. :) I've tried. It's not pretty. And never good when someone asks "what is it"? LOL Seriously...congrats. So so so excited for you!! Happy Friday!!! This is so wonderful! Big congratulations are in order. It looks utterly fab and I can only imagine how proud you family is of you!! Oh wow, that's super exciting!!!! Congratulations! Congratulations...that is so exciting!!! Just visited Amazon and it's already on my Wish List! I am truly happy for you! your blog, talent and tutorials are the reason I started cookie decorating and then making cakes.I continue learning every day from you , and of course , getting fat also with your yumy recipes. Congratulations! I can't wait to get your book. You were my first 'cookie' teacher and, outside of my beautiful family, every moment of fun and personal satisfaction I've experienced has come as a result of what I've been able to produce, in large part, to the generosity of this blog and the tutorials you've provided. Heartfelt thanks. Congratulations, Bridget! I'm looking forward to get my copy but living in Brazil I know I will have to be patient. Please consider including us in your launch road show. I would love to meet you in person and hopefully, have my book signed. Wow!! Congrats!! So exciting, can't wait to buy it! SO Awesome!! congrats! Def going to buy a copy!!! Amazing!!! Congrats Bridget!!! 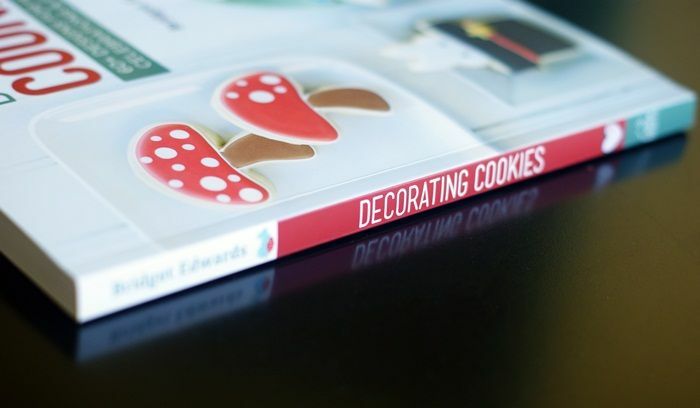 I'll get one too ;) It just happens that I want so bad to decorate cookies the way you do, I haven't seen your book, I love it already! Congrats to you!! You worked so hard and you deserve it! Where has my mind been lately? I'm seriously trying to find it these days. Why am I #62 to comment? I've gotta get more in TUNE with what's happening THAT'S BIG AND EXCITING in the blog world!!!! First of all~I'm positive I stared at that first pictures for a good 10 minutes or so. Like I kept staring taking in the adorable curtains~that adorable turquoise lamp~the shabby chic table~and the low lamp lighting. Most of all I couldn't get enough of the look on Kiddo's face as he browsed through your cookbook. Well really it's his cookbook too! Being that he's your #1 assistant in the kitchen~with your phone~and with your computer. ;) KIDDO ROCKS! Secondly I'm positive I'll never be completely rid of the goose bumps that ran up and down and all around me as I continued to scroll catching glimpses of the pages in the book. I realize this is sounding OBSESSIVE! Like for real! I'm openly admitting I'm obsessed with the thoughts of your book being published! I'm BEAMING with JOY for you my friend! In all sincerity~I couldn't be happier for YOU and Kiddo and Mr. E and Bluebell and Spike! Can't wait to come to Texas and HUG you tight and congratulate you in person! Finally~how FAB does Hubbell and Hudson sound! Do you think they'll give you a VIKING stove for signing books in their stove? Hugs and LOVE and bundles of JOY Sweet Friend! Congratulations, Bridget! I'm so happy for you and your new "baby!" You introduced me to my favorite hobby (cookie decorating) and gave me the confidence to go nuts with royal icing! My dog-eared copy of your sugar cookie recipe remains my favorite recipe of all food in the history of food. I can't wait to get your book and to share - in hardcopy format - all the wit and wonderfulness that you impart at Bake at 350. Congratulations! Your book looks amazing! So excited to see it in person. Congratultions!!!!! Just checked Amazon and your beautiful book is . . . drum roll, please . . . #1 -- HOLY COW. It's #1 in the baking cookies section. Whoopee! Congrats! Your cookies are amazing and you deserve it. Your book looks so pretty. Congratulations! Can't wait to get my signed copy!!! Love the picture of kiddo reading it! Yay! Congratulations! How exciting! It looks like it is going to be as amazing as you are. Congratulations on your books. I cant wait to view it! Congrats, Bridget!!! I am so happy to see this happen to such a wonderful, caring and always ready to share person like you!!! Wishing you the best!! Congratulations, Bridget! So exciting! The design looks beautiful. What a great Christmas gift this book will make! I'm so excited to read this! I just bought a bunch of stuff to start decorating cookies. Your book will be the icing on the... cookie! Congrats! I'm eager to receive my pre-ordered copy :) It looks so cute! I remember sitting next to you at the closing keynote at Blissdom in 2011 when you got an email on your phone and you leaned over and said "I got a book deal!" Bridget I'm sooooooooo excited for you and can't wait to get my hands on a copy! I'm so excited for you Bridget! Best wishes on some super successful sales! Wish I could come to your book signing!!!! Congratulations on the birth of your new baby! The book looks super cute, and I'm sure will be a hit. CONGRATS!!!! What a huge accomplishment!! Congratulations!!! I can only imagine how awesome it must feel to finally hold that in your hands! Enjoy it!!! Mazal Tov!!! Your book looks amazing, I cannot wait to purchase it, this is a huge step for a blogger and I wish you all the luck in the world! Bridget, I have so many cookbooks that I have become extremely selective as to what I add to that collection. When I this post, I got chills I am so excited about this!!! Your work is lovely - congrats!!!! I am so happy for you!!! I have ordered mine on Amazon and can't wait to hold it in my hands!! CONGRATS!!!! Congratulations Bridget!! I am so very happy for you. What a gorgeous book; I can't wait to get my hands on a copy! SO excited for you, Bridget! Big-time congratulations to you! I can't wait to get my copy! october 2nd is on my calendar!!! congrats! I ordered one! Wish you could autograph it for me! This is so exciting, Bridget! I love decorating cookies for (and with) my kids and can't wait to get some new ideas from your book. YAY! YAY! YAY! I can't wait to hold your new baby and kiss it on the face. So excited for you! Oh my goodness, Bridget! I am so excited for you and your family! (Well, and for me and my family once I learn all of your secrets from your book! Heh!) I can not wait to hold it in my hands. I know you are over the moon and I am jumping up and down over here in Georgia for you! Regardless of age, every girl needs a shoulder bag. Even if not a single lanvin bag, but a girl needs 2-3 shoulder bag, suitable for different occasions. Educational institutions in her time, she needs a very spacious, stylish lanvin handbag. She asked the purpose of the party and the gorgeous package, she may need a different style of package used for other purposes. These shoulder bags can be purchased from the local spot market, but it is not at all wise to go to the local market to buy a shoulder bag, but she can buy in the online market(lanvin). Bridget!!!!! This is so exciting. 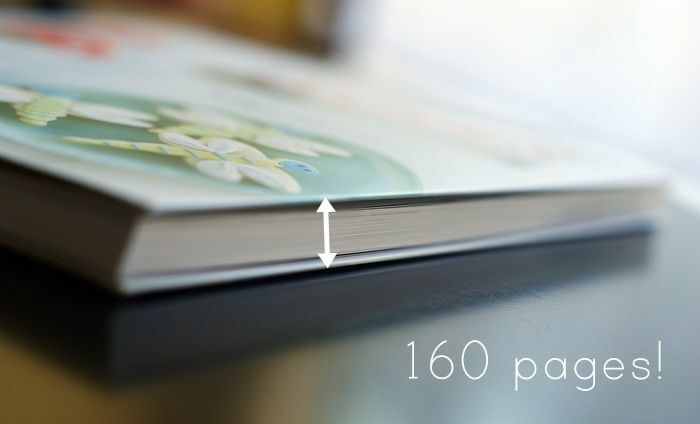 OMG, your book looks amazing and I am so happy that you are not showing us what is on those 160 pages. (Even though you gave us a sneak peek at that BUNNY!) I want to be surprised on October 2nd. I really do love sweet and pretty surprises. Your book signing will be a great success ~ that place sounds awesome! Hi Bridget, Congratulations!!! When will your fabulous book be available on BOL.com? Congrats Bridget! I have already pre-ordered it and am SO excited to see it. Thanks for you inspiration and for being such a great teacher to so many!!!! Cool!! I live in Houston and see a trip to the Woodlands in my future. So excited for you and can't wait to see your book! Awesome! Congrats on the book-it's finally here!